Testosterone – It’s what makes a man A MAN. We all have it, but as we age our bodies’ ability to produce Testosterone declines year by year. Now, more than ever, men aged 30 and over are being diagnosed with Low Testosterone, or “Low T”. With Testosterone Replacement Therapy you can stop or even reverse most of the effects of Low T. Why miss out on life? 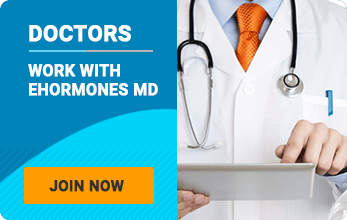 Contact EHormonesMD today for your free and discreet consultation.